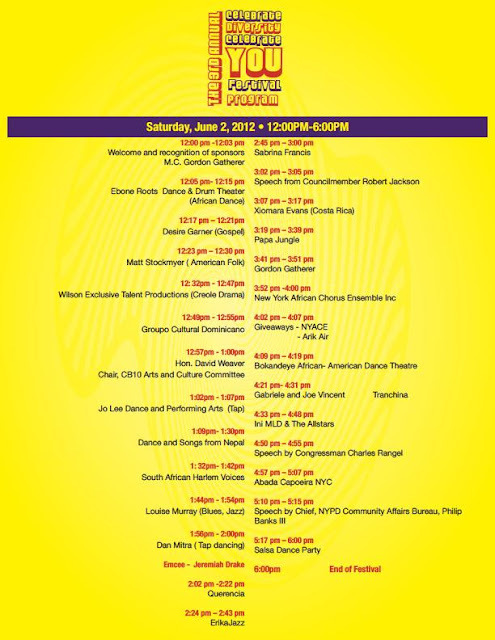 WILSON EXCLUSIVE TALENT AND BRONX GUERRILLA PRODUCTIONS... Fighting Ignorance Through The Arts: THE OFFICIAL PROGRAM OF THE DIVERSITY FESTIVAL JUNE 2ND! THE OFFICIAL PROGRAM OF THE DIVERSITY FESTIVAL JUNE 2ND! WE GO ON AT 12:32 PRESENTING SPICY SCENES FROM MY CREOLE HISTORICAL DRAMA!